Part of a healthy diet often involves eating just the right portions, but for most of us who aren’t too scientifically inclined, how do we carve out the correct amount to put into our mouths on a daily basis? Well, the Perfect Portions Scale hopes to help, functioning as your in-house Nutrition 101 device. 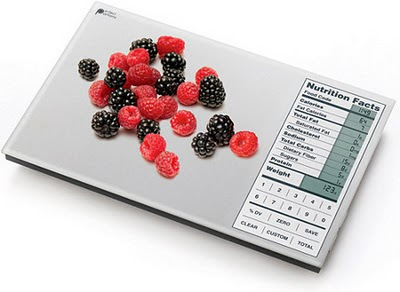 This is a combination device that brings together a food scale as well as a nutritional calculator, featuring an integrated database of 1,999 different foods alongside the added ability to hold another 99 custom entries – perfect just as well, since different countries have different, quirky foods which isn’t available universally. All you need to do is zero the scale, drop down your food and press in the correct food code for the scale to have an idea on what it is measuring. When its processor does the job, all nutritional stats alongside the total weight will be shown on an LCD display which looks just like the Nutrition Facts labels available on today’s food packaging. For $59.99 a pop, it sure does sound like a good and affordable investment.